Bruce Barton Miller (“Pops”), 83, was peacefully called to heaven September 28, 2018. Born November 22, 1934 in Ocean Springs, Mississippi to Robert Carson and Lydia Miller, who preceded him in death. The youngest child, his mother’s only boy, a bit spoiled and completely loved. He grew up surrounded by family; his nieces and nephews were among his best friends. A handsome athlete with striking blue eyes, he excelled in baseball, football, basketball (later softball, golf and bowling) and was voted best dancer of his Ocean Springs High School class. After graduation, he joined the Army serving as a cryptographer stationed in The Marshall Islands and played on the Army football team where he met his wife of almost 58 years at Fort Knox, Kentucky. He later attended the University of Southern Mississippi and earned two degrees in less than three years. 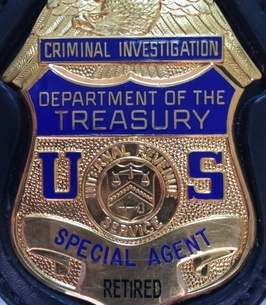 Bruce began his career as a special agent with the Internal Revenue Service in 1960. He was known for his commitment to integrity and dependability and was trusted with many high-profile investigations leading to his selection as the Chief of Criminal Investigations. After retiring in 1989, as a life-long investigator, he spent countless hours researching his genealogy leaving his family with a wonderful history. A Red Sox fan since childhood, he shared his immense sports knowledge and passion with his family educating them on how to play, understand and enjoy just about any sport. He was an awesome coach and competitor who didn’t let you win – you had to earn it. A thinker and observer, he never jumped to conclusions, rather, he gathered facts and only when asked would offer advice. He was funny, not in a loud way, but with quick witted sarcasm. He genuinely loved others and expressed that love with generous actions for which he required no recognition. He is loved and celebrated and remembered by many. Bruce is survived by daughter, Lori Lyn Mueller and husband Trevor; son Bruce B. Miller, Jr. and wife Ashleigh; grandchildren, Britini Lee Miller, Braedon Kutter Sweeney, Colin Thomas Miller, Mia Jenevieve Miller, Bennett Moss Miller, Austin McKanna and Tanner McKanna; and many nieces and nephews. He is preceded in death by his wife, Barbara (Bobbi) Ann Miller; daughter, Ann-Margaret Miller; brothers Herbert Miller, Robert Miller; sisters Eula Nee Twining, Lilly Renfroe, Margaret Mohler and Catherine Miller. We are grateful for the Mercy Hospital Palliative Care Unit and Hospice Team who gently cared for Pops and his family. A memorial service will be held at Crossings Community Church in Oklahoma City at 11:00 a.m., Tuesday, October 2nd. To celebrate Bruce, please wear your favorite sports jersey or shirt. 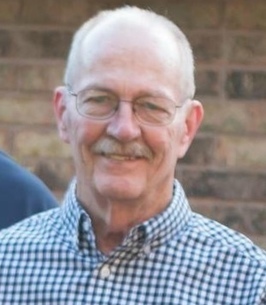 In lieu of flowers, donations may be sent in memory of Bruce Miller to Crossings Community Church (14600 N Portland Avenue, Oklahoma City, OK 73134) or the Association of former Special Agents, Internal Revenue Service Scholarship Fund (AFSA Treasurer, PO Box 2841, Ponte Vedra Beach, Florida 32004). To send flowers to the family of Bruce Barton Miller, please visit our Heartfelt Sympathies Store. We encourage you to share any memorable photos or stories about Bruce. All tributes placed on and purchased through this memorial website will remain on in perpetuity for future generations. My old Boss of many years. Rest In Peace Special Agent/ Chief. I am so sorry for the family’s loss. Death is one of the hardest trials to cope with. May you find comfort from the future promise recorded in Isaiah 25:8 which says “he [God] will swallow up death forever.” We can be certain God will fulfill his words.